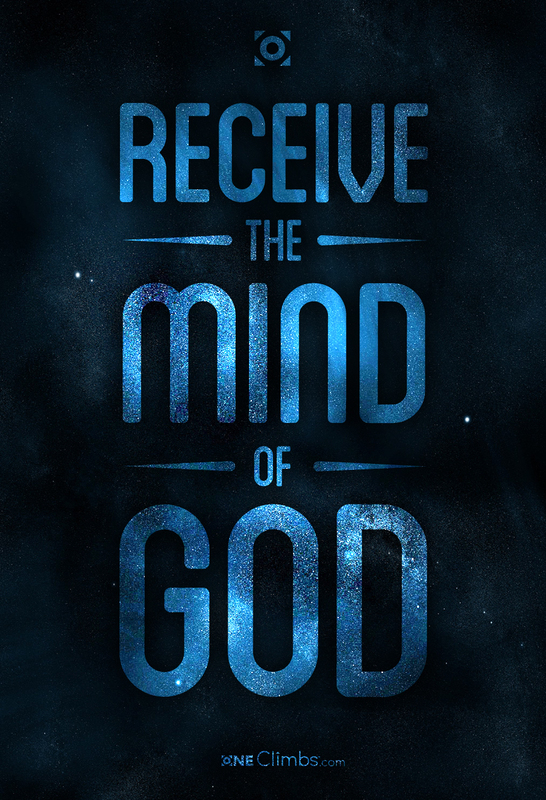 We talk a lot about receiving and following revelation, but I’ve learned in my experience that the process itself is not as simple at it may first seem. There are real dangers involved because not all revelation that crosses our path comes from God. The word revelation in Greek is apokalupsis and means “disclosure:–appearing, coming, lighten, manifestation.” The English word revelation comes to us from the French revelare around the 1300s and means to “unveil, uncover, lay bare.”  In its plainest sense, when revelation is happening, we are basically seeing something that was unseen before. Every now and then you find an answer that is extremely satisfying almost in a thirst-quenching kind of way. 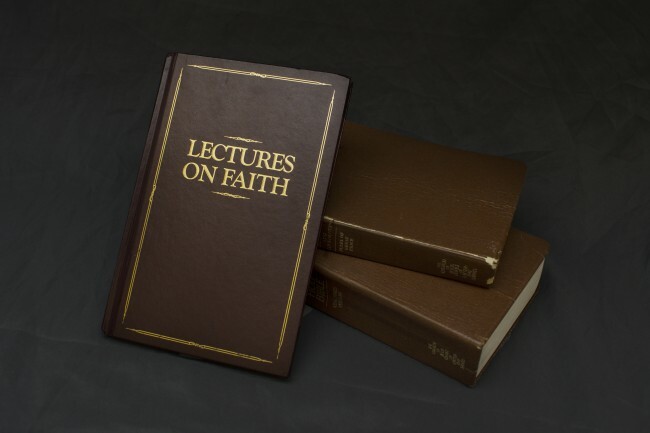 I was perusing Lectures on Faith again with my copy I carry to church and I was again confronted with Lectures 3 and 4 and how they address God’s characteristics and attributes. There are six of each in their respective lectures and there seemed to be some redundancy as it pertained to mercy and truth appearing on both lists. Characteristic: That which constitutes a character; that which characterizes; that which distinguishes a person or thing from another. I had a hard time understanding the difference between the two, they seem to both be indicating that characteristics and attributes were both qualities that belonged to something. 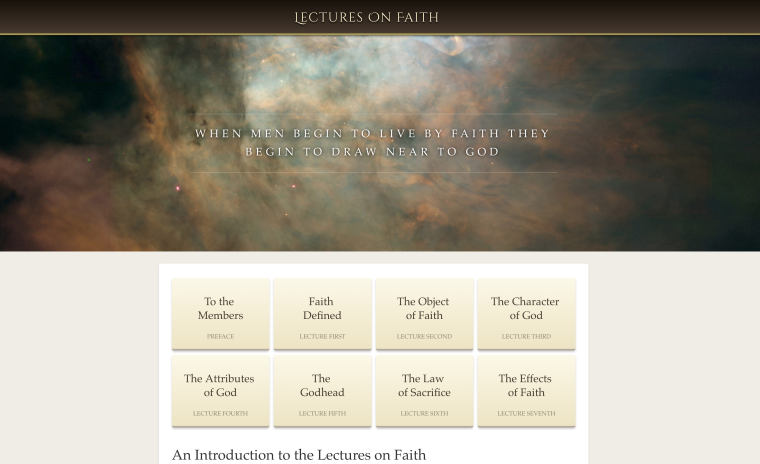 I decided that it was time to readdress the home page of LecturesOnFaith.com, it was looking kind of homely. I’ve been wanting to spruce it up for some time now but never really got around to it. 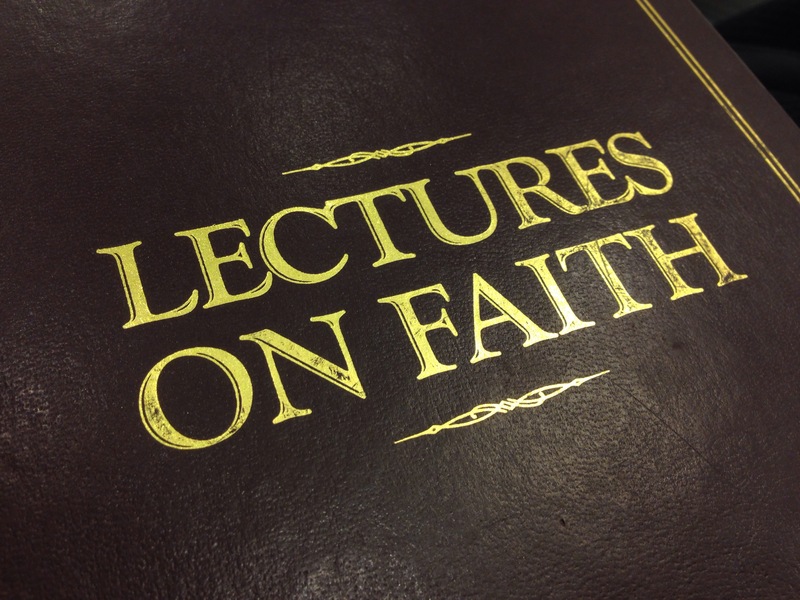 What inspired me was attending an Elders quorum class in my previous ward where the presidency had been teaching from the Lectures on Faith for their first Sunday lesson! We were on Lecture 3 and I was just about to lose my mind at how awesome it was to get to study an entire lecture in church! Realizing that people were using this resource made me want to make it a better, more inspirational experience. 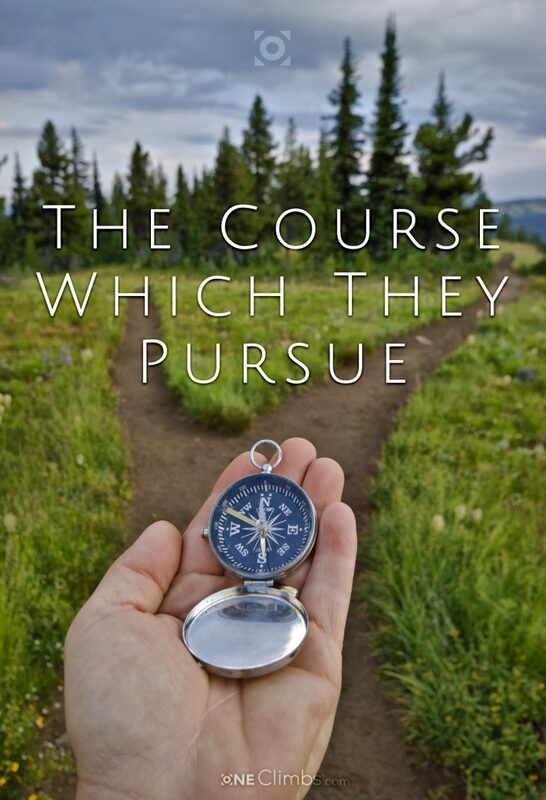 So I made a big focus area on the home page and put some of my favorite excerpts from the Lectures in there and made them rotate after several seconds. I also added big buttons that link to the Lectures and made them very prominent (I’d like to create some custom icons for each lecture one day). 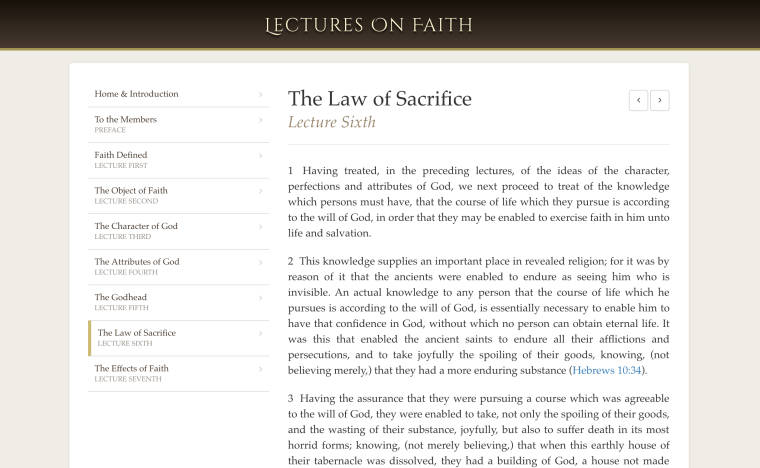 I adjusted the titles I gave to the Lectures so that they are more uniform in length. Now everything looks nice and neat, but I’m sure I’ll think of more updates in the future. I love having this as a side project and hope to always keep it available for people to enjoy. If you haven’t read them, you are missing out. They deserve our ponderous study and are some of the greatest scripture to come out of the restoration. Currently, there is no other text that lifts my mind closer to understanding the character of God and the mechanics of faith.